Oysters were the mainstay of the California fishing industry at the turn of the century. 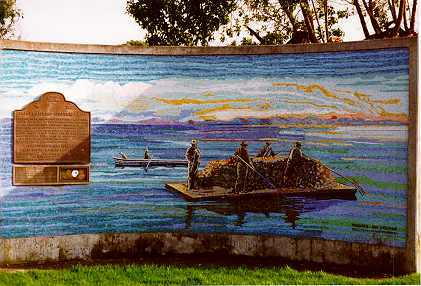 Along this site (the original Mulford Canal) the San Leandro oyster beds flourished. In 1892 William Roberts filed title to the beds south along San Lorenzo Canal and in 1895 Thomas Mulford filed title here at Mulford Canal. 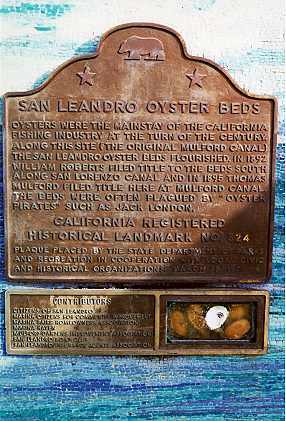 The beds were often plagued by "oyster pirates" such as Jack London. San Leandro Marina, S end of N Dike Rd, San Leandro.